Thank you! 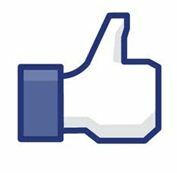 Due to your continued support, we now have 100 likes on Facebook. This social media platform is great for programs like ours because it’s an easy way to reach our many fans. Whether you currently swim, have children in the program, are an alum, a parent alum, or just a fan of Lincoln in general, we’d love for you to like us! We’ve recently started adding the high school meets to an Events section on the our Facebook page. You can join these events (tell us you’re coming) and share with friends and family to help us pack the stands at our home meets. The drawing thread will be posted a little later today (8/29) and remain open until Friday (8/31) at noon (Central). At that time, we’ll draw a winner. Check out the Facebook thread for the full details on how to enter.